Today, Facebook revealed the latest update for its News Feed feature, something that CEO Mark Zuckeberg says that helps make you see and feel things that users will care about. He believes that it should be more like a personalized newspaper that allows users to not only give them the top stories in the news and also socially relevant and local content from friends and family around you. Mobile consistency that shares the same experience across different platforms. Originally launched in 2006, the News Feed has become the central place where users find information about their friends. Zuckerberg says that his company’s goal is to help make it the best newspaper possible. He believes that the best service should have highly public content and social, local content that is relevant and from the friends and family around a user. It should also have a front page of the most important things around the major topics, but also allow you to drill down further and explore other items. Facebook says that the new design, Bringing elements of timeline into the story where you can look at who you have in common with others, their cover photo, and others — all meant to help you convey a story. For businesses, the social network says that it is helping them also share information in the News Feed such as location. The focus is on what you care about, what your network is saying, what your Pages and subscriptions are saying, and more. This new immersive design will affect everything, including advertisements on the social network. Facebook says that this redesigned News Feed will be rolling out starting today on the desktop and will hit its mobile apps in a few weeks. Chris Struhar, the technical lead at Facebook, says that people might want to know about what their friends are listening to, what they are doing, and more. With the redesigned News Feed, Struhar says that users can take advantage of a switcher at the top of the page or by pulling down the window in the mobile app to view other feeds. Users can view their “All Friends” feed to view what’s happening in chronological order to find out what’s going on. There is also a “Music” feed that allows them to show concerts happening around the user or albums released recently. There is also a photo feed that Struhar thinks that will be a space that enables users to find things happening around the world — something he says is vibrant and immersive. There’s also a “Following” feed that shows users all the updates from the Pages and people that they Like. Right now, Facebook says that the feeds will pull in information from apps that use its platform, but it will be pulling in from other sources soon. 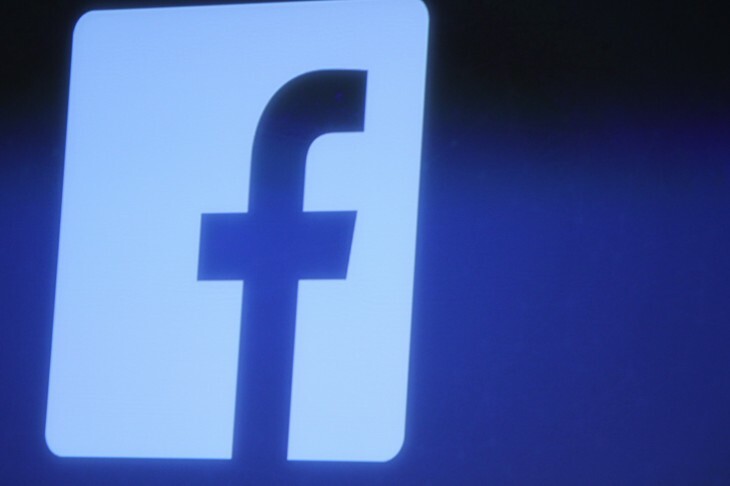 Facebook is revamping the feed to help make sure that friends and family member updates are read. If you have friend lists, they will show up in the existing feed at the top of the page so it’s easy to access. Feeds are available on desktop and mobile experiences. How will this affect Pages? Think about your visuals: We’ve seen that more visual stories in News Feed – from both people and Pages – increase user engagement. Now businesses have an even more visually rich way to showcase content and get people engaged. In the example below, a restaurant can get people hungry for lunch by showcasing today’s special right before lunchtime. Get discovered with “Following”: Thanks to a new “Following” feed on the right-hand side of the home page, people will be able to discover more content from the Pages they like and the people they follow. Stories on “Following” are shown in chronological order. Make sure your cover photo tells your story: For both organic and paid Page Like stories, the photo that we’ll now display is the Page’s cover photo. This change is designed to provide more context about the Page. All the more reason to make sure your cover photo is eye-catching and visually representative of your Page. 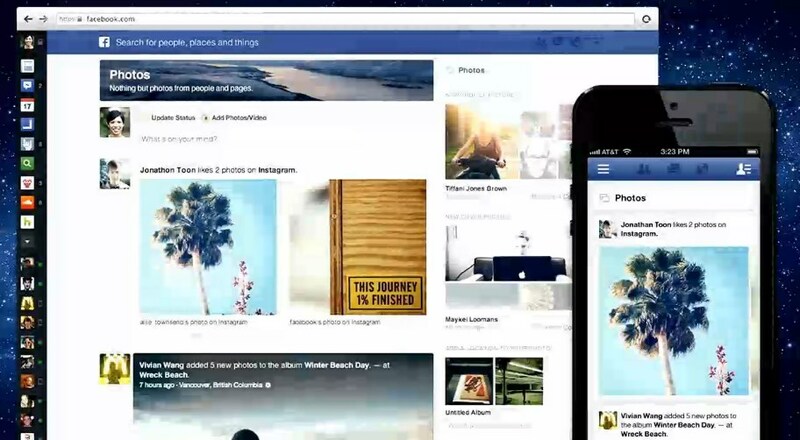 In addition to all of this, Facebook is unveiling a new navigation design across all the different platforms. It says that it is responsive and able to be accessed without having to go back to the homepage. The new design lets users see what’s online and consistent across all platforms for users and publishers so that they know what it will look like across all screens. Much of the new design has been taken from the mobile and tablet experience to the desktop. The new design is being rolled out in limited release starting today and the mobile version will be released in a few weeks. 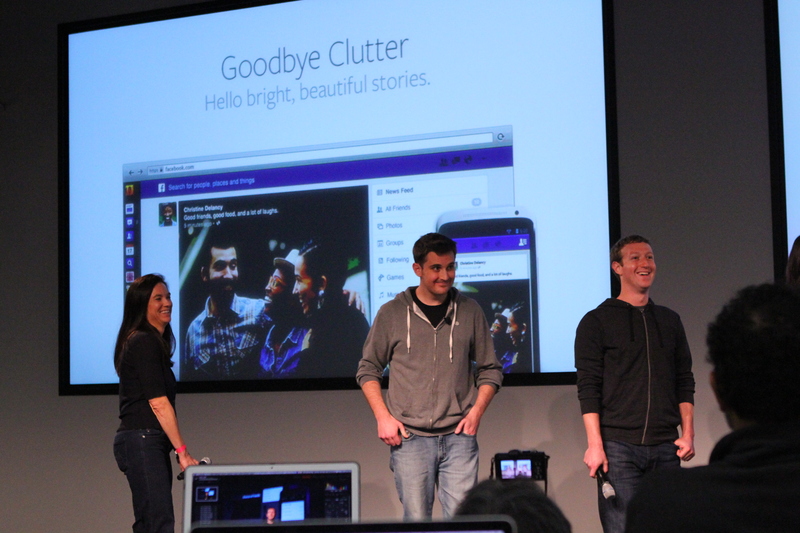 Facebook has highlighted Pinterest and Quora as examples of how the News Feed can be integrated in. Zuckerberg says that there is a special place in the world that can give users the right amount of content. He says that Facebook is always trying to build a relationship with a lot of social companies and having the photo-sharing service under its belt, it will help Facebook build a better ecosystem of apps. As our news feed design evolves to show richer kinds of stories, that opens up new opportunities to offer different kinds of ads as well…One of the product design principles that we’ve always had is we want the organic content to be of the same basic types of formats as paid content, right? So, historically, advertisers want really rich things like big pictures or videos and we haven’t provided those things historically. But, one of the things that we’ve done in the last year is you’ve seen the organic news feed product that consumers use moving towards bigger pictures, richer media and I think you’ll continue to see it go in that direction. And, I think that a lot of the success of products like Instagram is because of that. It’s a very immersive – even on a small screen, just – it’s a wonderful photo product. Last November, during one of Facebook’s periodic “whiteboarding” sessions, the company revealed some insights into why there are already two separate feeds for us to consume: the News Feed and the Pages Feed. The former is the place where users will go to find the most engaging content while the latter contains content that they may want to read from Pages that are liked or subscribed to. Expanding this line of thinking and revealing different News Feeds seems to be the natural progression for Facebook and its information. Earlier this year, Facebook also tweaked the News Feed more by showing larger images and longer previews of links in an attempt to increase engagement. When Facebook first rolled out its News Feed, it gave rise to privacy advocates who believed that there was going to be cause to worry — some even forming Facebook Groups and Pages to rally users to quit Facebook over this privacy intrusion. Back in 2011 when the most recent News Feed changes were made, there were concerns that News Feed would give others access to the private posts of people users were not friends with, giving them the ability to Like a post or add comments to it. It’s important to note that this redesign will not affect any of the existing privacy settings users have. Facebook says that it’s only a design change and won’t affect the functionality of user settings.